Brake (absorber) type dyno's apply a load (e.g. Eddy current brake) against the engine and the torque applied is measured on a ‘load cell’. This is typically an 'S-beam' type which can measure in both compression or tension mounting configurations. Load cells also require an amplifier (also called 'signal conditioner', 'transmitter' or 'strain gauge' amplifier) to provide them with power and to increase their output voltage to a usable range. 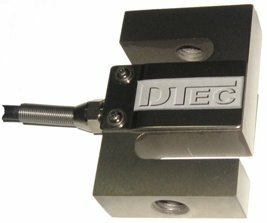 We offer a selection of load cell sizes to cover most dyno applications, use the appropriate tool below to assist in choosing the best size for your application. The accessories below may be required if you do not have an equivalent available. 'Click' on the links for full descriptions.